Classic male pattern baldness is usually diagnosed based on the appearance and pattern of the hair loss. Any atypical hair loss may be caused by other medical disorders. A skin biopsy or other procedures may be needed to diagnose other disorders that cause loss of hair. By age 35, two-thirds of American men will have some degree of appreciable hair loss and by age 50 approximately 85% of men have significantly thinning hair. 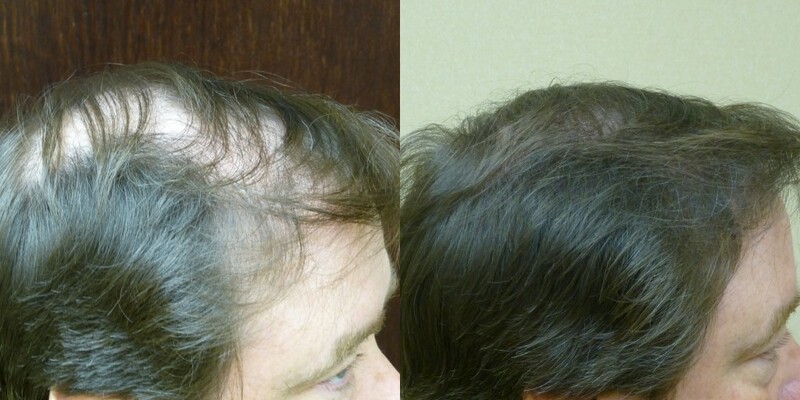 About 25% of men who suffer from male pattern baldness begin the painful process before they reach 21. Male pattern baldness does not indicate a medical disorder, but it may affect self-esteem or cause anxiety. The hair loss is usually permanent. Hair loss affects every aspect of their life. It affects interpersonal relationships as well as their professional life. It is not uncommon for men to change their career paths because of hair loss.